We can handle all your airport courier service needs. 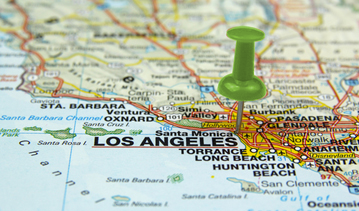 We can retrieve and deliver your shipments at airports in Southern California, especially at Los Angeles International Airport (LAX). From Documents at counter to freight at cargo. All of our drivers are trained in shipping and receiving of Next Flight Out (NFO) and Cargo Shipments. You can depend on Clockwork Express for all your airport courier service needs. Clockwork Express is the South California’s solution to your same day delivery needs. You can depend on Clockwork Express 24 hours a day 7 days a week. Open an Account with us today and get a discounted rate! For shipping companies, air freight forwarders, brokers, Clockwork Express assists with document processing, retrievals and delivery of your packages and cargo at LAX airport for wholesale price. Get rush pick up from LAX to your consignee. All of our drivers are trained and STA Certified in shipping and receiving of Next Flight Out, Cargo Shipments and Luggage Retrieval. We will beat anyone prices for multiple shipments! Please choose all that apply before placing an order or quote. First 20 pounds free. .10 a lb. there after. .10 each Add'l lb. *May apply after Order has been delivered. May be added to your invoice or Credit card. First 10 mins are free. .50 a min there after.